Hello designer! We found a great script font today for you. 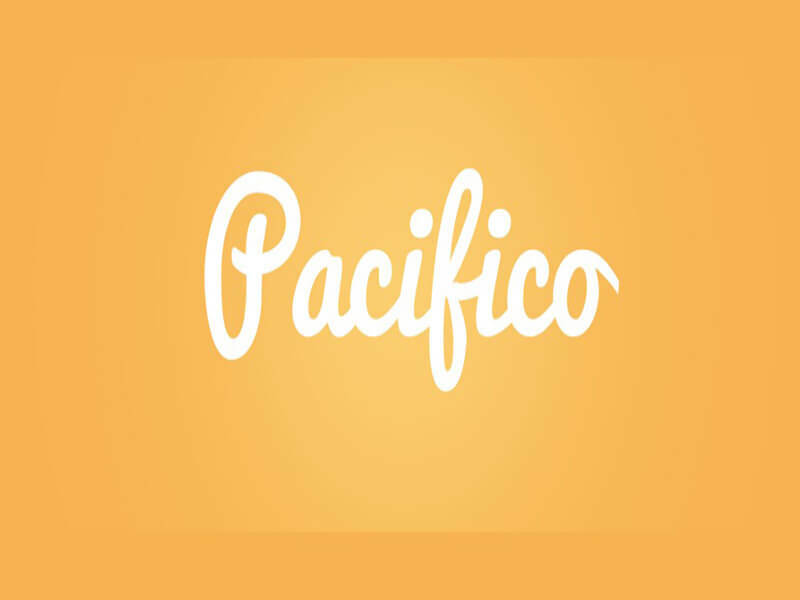 Introducing the Pacifico font that belongs to script font family. Google never leave any chance to amaze there audience. This google font is one of the fine fonts by google. Vernon Adam took the charge for designing this elegant typeface. You might have seen many stylish fonts during your designing career but I guarantee you that it’s above all of them. Along with its keen features, bold glimpses, and vast languages support Pacifica submit its name in the list of top-notch typography. 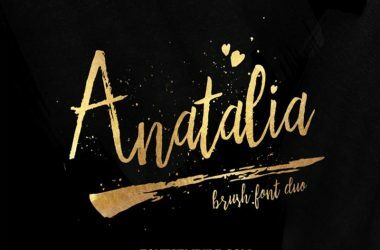 Before going in more depth, Let me tell you a bit about the designer of this brush script font. Vernon Adam is a very ingenious typeface designer at Google from 2007 to 2014. He contributed various font to Google fonts. Anton font family is one of them. 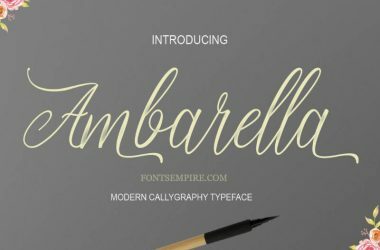 Possessing a stylish handwritten bold texture beside high-grade legibility this free font is perfect for any designing project. Another important aspect about it is that. Pacifico is free for personal as well as for commercial use. Fasten it by you and sit back to enjoy the elegance of your texture. This might be one cause of its so much popularity! 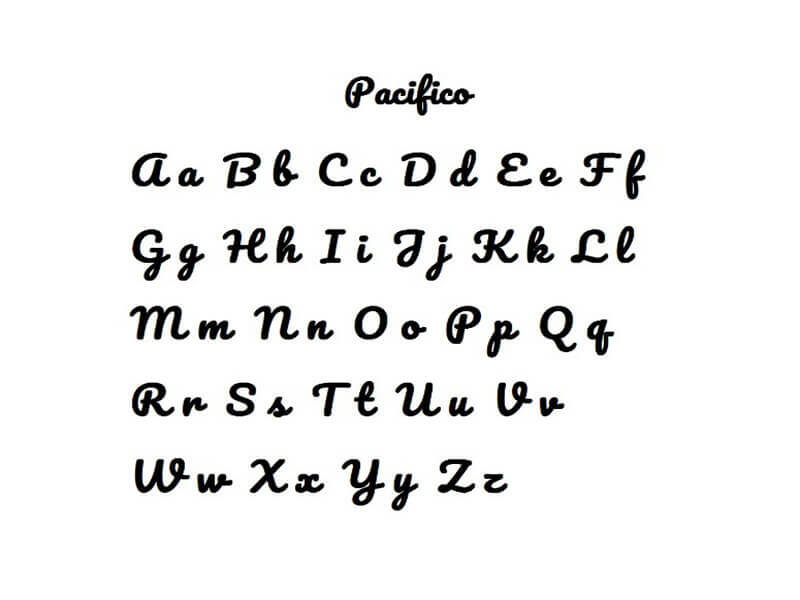 We are providing pacifico for free and you will have your font by a simple single click download access. Look at the images we attached for you to have an idea about the font pairing you are going to practice. Ideal for making a chic emblem, brochure designs, wedding cards, invitation cards, comic or fancy books cover, beer label and even in the printing for the fabric industry. Developing a game or a one-page fancy website template heading accompanying it will also be a rational idea. 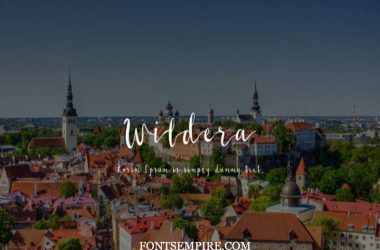 I hope this script font will help you in creating your desired layout and for fascinating and astonishing your clients or audience at the same time. Help us in distributing it by sharing it with your friends and colleagues at your social networks. Also, contribute your feedback about it in the comment section below.